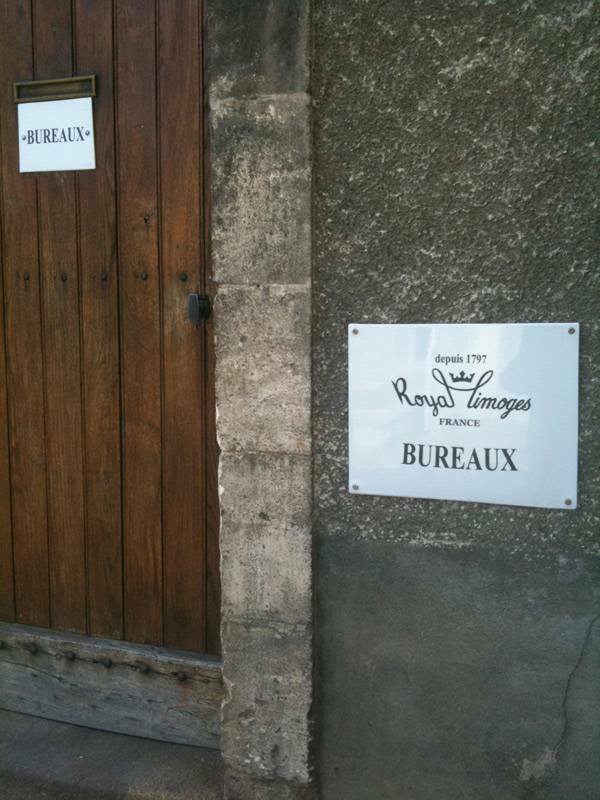 Last week I had the extraordinary opportunity to visit the factory of France's oldest manufacturer of porcelain, Royal Limoges. Situated about four hours southwest of Paris in a lush, rolling countryside, Royal Limoges has been operating non-stop from the same factory since 1797. In addition to seeing how this beautiful china is all made by hand, I was given the opportunity to go up into the archives and explore some of their 200+ years of designs. Because they have produced so many different patterns over the years they couldn't even begin to keep a copy of each of the patterns they have ever produced. Instead their archives consist of old leather-bound books with small drawings of the principal decorative motif for each pattern. Here are just a couple of the thousands of patterns that I had the lucky opportunity to explore. After six hours of exploring the archives I left the factory on a real high; I was so exhilarated by all of the beautiful designs and patterns that I had seen. While I have always loved tableware, I came away from this experience with an overwhelming admiration for the pure artistry of the craft.